Exchanging promise rings often means solidifying the exclusivity of a relationship, but the ring does not always mean a wedding looms in the future. A promise—as it pertains to a relationship—is defined according to the understanding of the couple. Past representations of promise rings once symbolized a promise of engagement—serving as pre-engagement rings. A promise ring was sometimes given when a future groom lacked the funds for a proper engagement ring; the promise ring stood for the promise of the next step of the relationship – the ideal proposal. With the ever-evolving definition of what it means to be in a relationship, a promise ring may hold a range of meanings. The promise could be a promise of never-ending love, a promise of fidelity or a promise of trust and companionship. Of course, a promise ring may still symbolize a promise of future marriage. Sometimes, however, the ring receiver may be surprised by a promise ring’s presentation and may not understand the meaning of the promise. The solution, of course, is just to ask the giver what the promise is meant to represent to the couple. Assuming a ring to be one of pre-engagement when the ring’s purpose is simply to solidify a relationship as serious could result in embarrassing assumptions. Still, any giver of a ring bearing serious meaning should be prepared to discuss the ring’s significance upon presentation. If a promise ring is meant as a pre-engagement ring, make sure the receiver is aware that the ring symbolizes a promise of future marriage. The gift can act as a segway into a very meaningful discussion for you and your partner. Promise ring designs may be influenced by the promise the ring represents. If a promise ring is given as a pre-engagement ring, the ring may be designed to look similar to an engagement ring. A small solitaire diamond or a larger gemstone surrounded by a halo of diamonds illustrates the significance the promise of a future marriage represents. A pre-engagement ring also could look similar to a wedding band—a row of channel-set diamonds on a plain band. 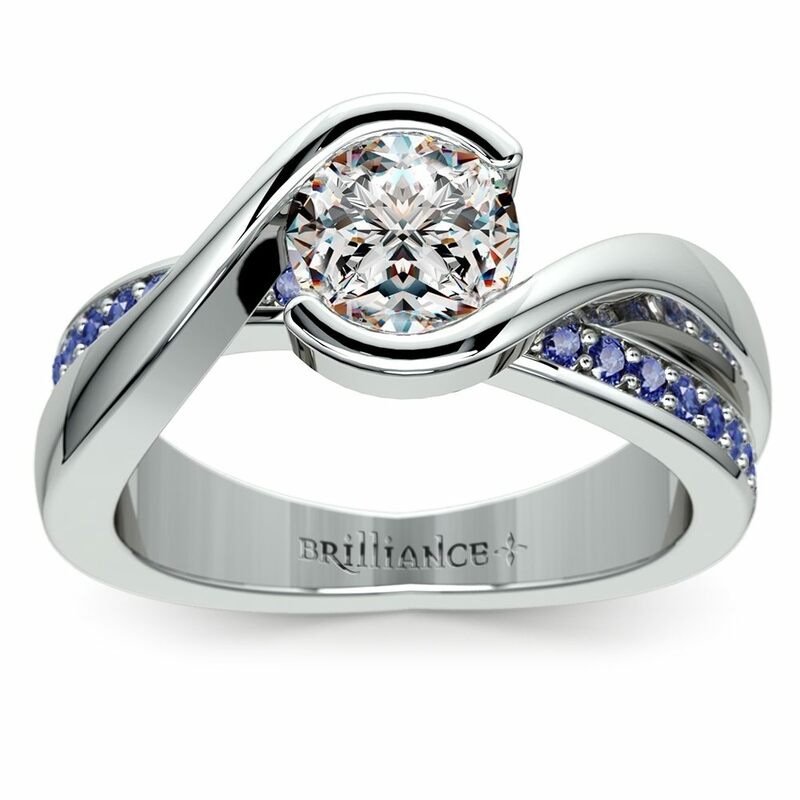 Mix and match gemstones and diamonds with a ring similar to the Bezel Sapphire Gemstone Bridge Engagement Ring in White Gold. 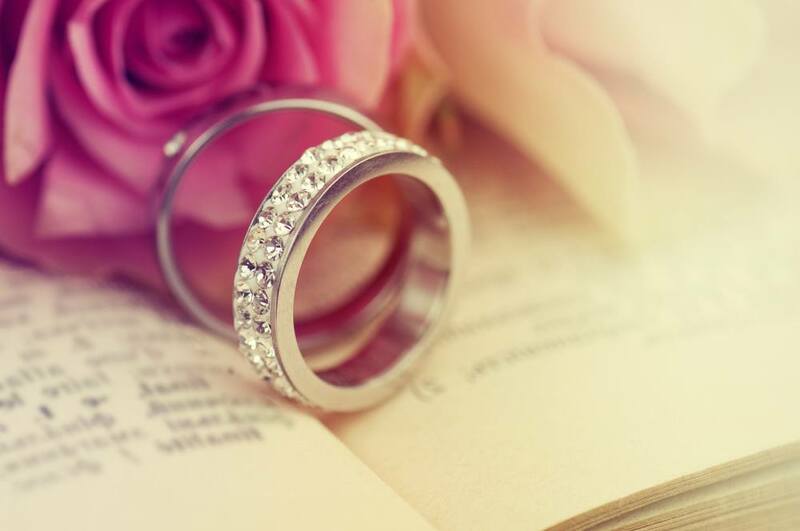 Rings representing the promise of enduring love or an exclusive relationship may also feature unique designs to highlight the intent of the ring. Birthstones representing the couple, gem-set monograms and initials or other details special and unique to the couple help create a ring that represents the people as well as the promise. Couples may also decide to create their own statement rings—regardless of what the ring represents. A ring may be bold and flashy, highlighted with unique gemstone choices like turquoise or Lapis Lazuli, or it could be a simple gold band. If you wear a promise ring as a pre-engagement ring, remember to consider how you might want to wear it after the engagement. No matter what a promise ring represents to a couple, every promise and every promise ring is worth sharing. Share a promise ring with pride in a unique selfie that announces what the ring means to the relationship. This will help to avoid uncomfortable questions about the new piece of jewelry from friends or family. While many engagement ring selfies feature conservative manicures and demure settings, promise ring selfies can be a bit more unique and out-of-the-box. Rings that feature bold stones or unique designs can be set-off with a bolder manicure color, as well. A destination promise ring selfie also adds interest; have fun with the announcement to make the moment as memorable and unique as the promise. No matter what promise the ring symbolizes, the exchange of rings marks a serious milestone in a relationship. If a couple wants the ring to symbolize pre-engagement, the understanding that the ring carries a promise of future marriage should be discussed before the promise is presented. No promise should be vague; intent and understanding are the backbone of any serious commitment.